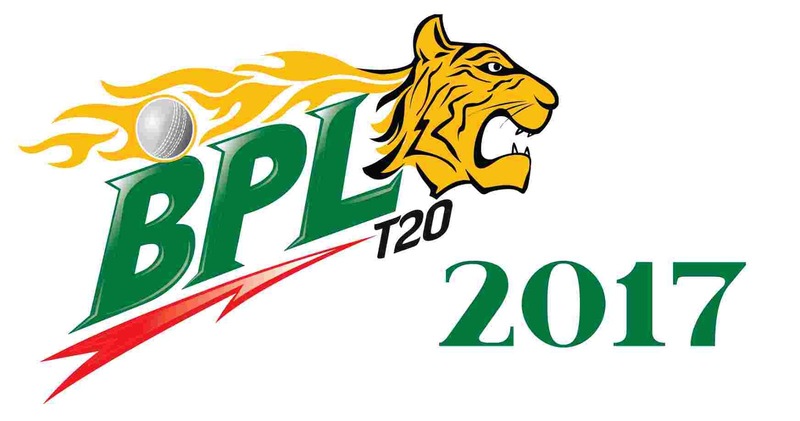 The 5th season of Bangladesh Premier League (BPL) 2017 is going to start from 4th November 2017. BPL is the professional T20 Cricket tournament organized by the Bangladesh Cricket Board annually. Seven teams are playing in this season of BPL tournament. In the first and second season of BPL, Dhaka Gladiators were the champions. In the third season, Comilla Victorians won and the fourth season was won by Dhaka Dynamites. Barisal Bulls are excluded due to not fulfilling the financial terms and condition. Sylhet Sixers is the new team this season who is replacing Sylhet Super Stars. Sylhet Superstars are banned due to disciplinary action by BPL Governing Council. BPL 2017 is starting on 4th November 2017 and final is on 12th December 2017. Eliminator and Qualifier are on 8th December 2018 and Qualifier 2 is on 10th December. 13th December is reserved day for the BPL 2017 Finals. Total of 46 matches will be played in the tournament including Eliminator, Qualifiers and Final. First eight matches will be played at Sylhet, next sixteen at Dhaka, which will be followed by ten at Chittagong and the final ten matches will be played at Dhaka again. The first match will be played between Dhaka Dynamites and Sylhet Sixers on 4th November.